Seats and Carpet are OUT! Me and my bro in law took the seats and carpet out on Saturday. I was worried about the possibility of rust, but it actually doesn't look that bad. A little surface rust on the floors are the worst of it. The back looks like it's almost brand new! I added a few pics. If anyone has replaced the carpet in their '76, I'm accepting all tips. treat the floor boards so they don't rust anymore. what do they look like on the bottom side?? they are expensive to replace if they rust thru. The underside of the car has always been in great shape. 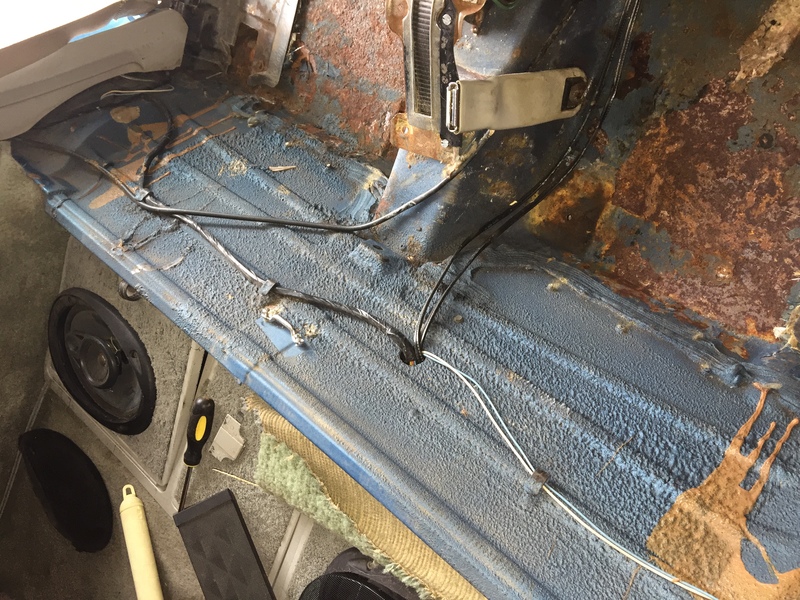 We plan on gently removing the surface rust and giving it a good treatment before we wires for the new stereo, etc. Get it out of there...all of it. Wire wheel, Grind, do whatever you have to to remove it all. Then paint it with a rust paint or POR and then before you put the new carpet down, pour a thin layer of oil on the entire floor and spread it around with a rag. Get the oil everywhere you can reach that is metal. 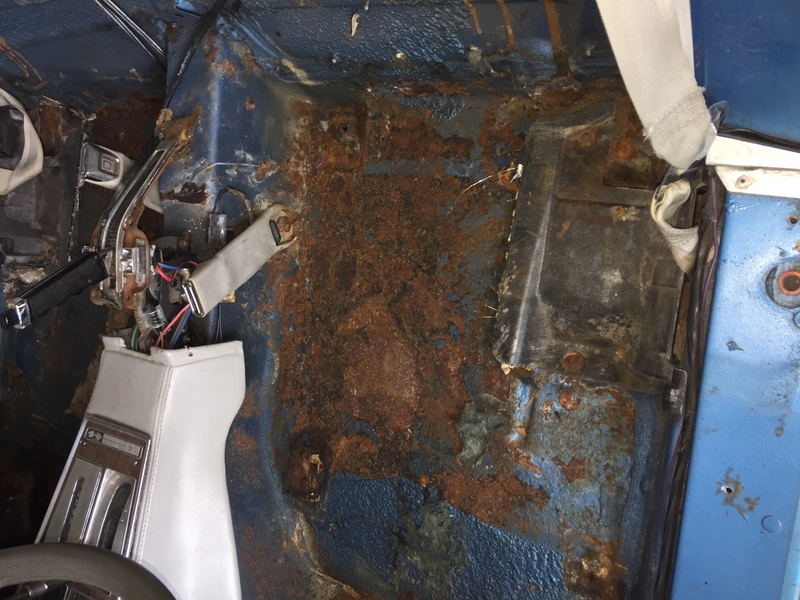 When I got my 1984 Trans Am in 1999, I pulled the interior completely out and oiled the floor. I rust Checked the car every year for 5 years too. I sold the car 15 years later and there was not a speck of rust on that car. I dragged my finger across the floor pan when it was up on the hoist and it was pure metal under the oil. Just don't get oil on the fiberglass parts...oil and fiberglass don't react well together. I ordered a couple of wire brushes so removed most of the surface brush. I just used my corded drill and attached the brush. My cordless drill didn't seem to have enough RPM at 18v. I didn't have time to take any pics or lay down the POR rust protectant and top coat I ordered. A snow storm was rolling in quick and I'm only able to work on the car during the car on Saturdays. I have it on skates so I had to get it back it's corner till next Saturday. FYI. POR 15 isn't a rust protector, it is a rust encapsulater. It is supposed to be painted directly on rust after prepping it with metal ready (acid). All you need to remove is loose rust flakes. Great stuff. Get rid of any LOOSE rust: wire brush, rotary brush, whatever. But, rust that is solidly attached should remain that way. THEN prep it and put on the POR 15. 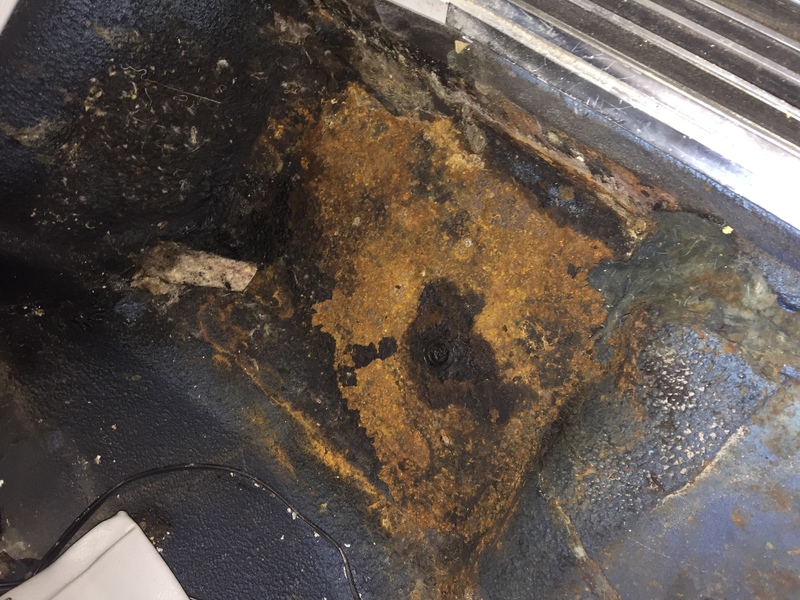 That remaining rust will be converted into an inert material that you can leave as-is or paint over. 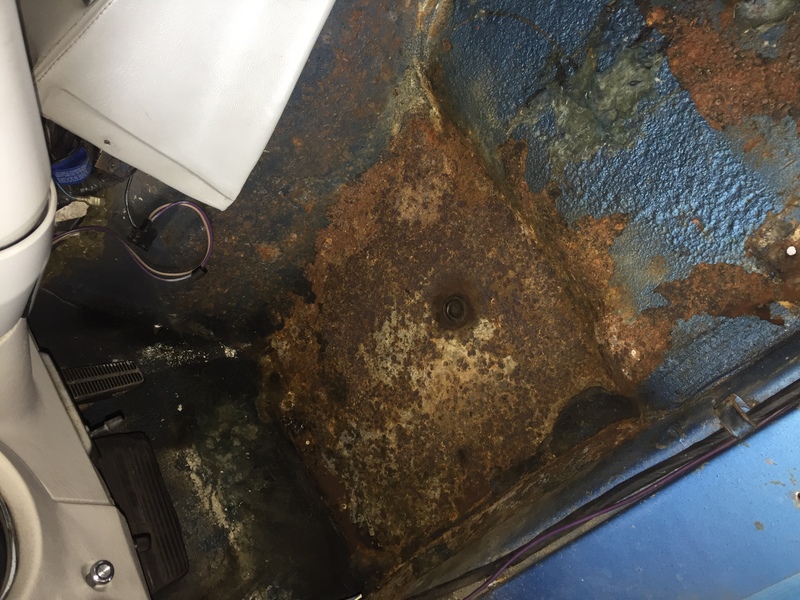 Once you get rid of the loose rust, if the floor looks like Swiss cheese...replace the floor pans. Last edited by 7T1vette; 12-11-2016 at 10:07 PM. 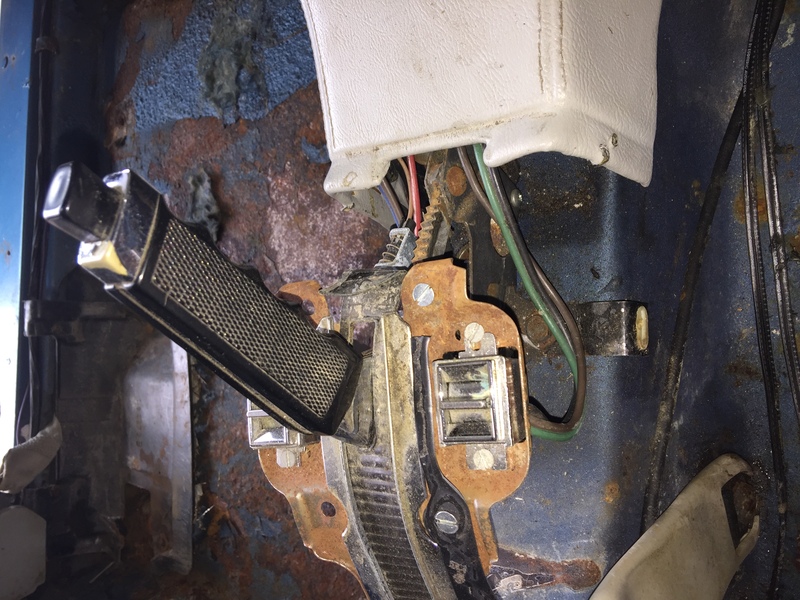 I redid the interior in my '76 about 4 years ago. I did get rid of the rust, then painted the pans. After that I put down hushmat and then reflectix from Lowes. I wanted to keep the cabin cooler and quieter. I am very pleased with the results. I also rebuilt the AC box. Most of the seals were trash. 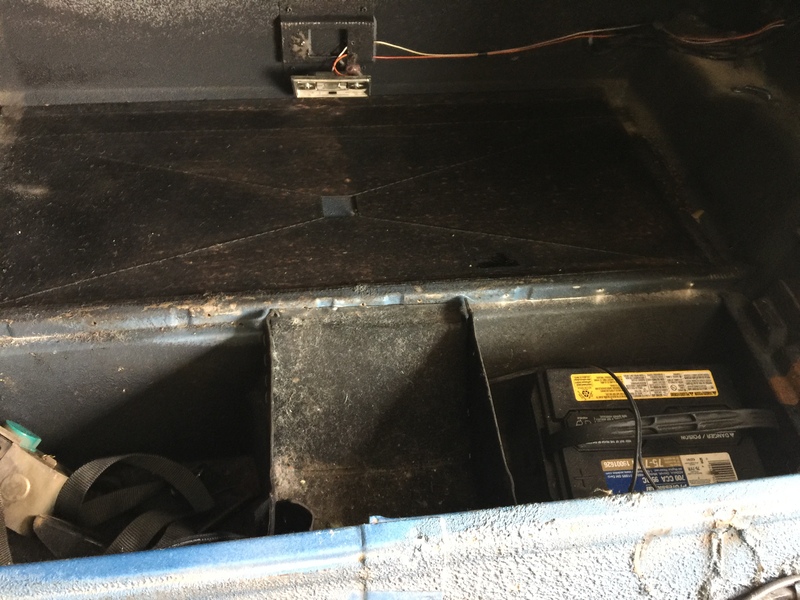 I also fixed the defroster to box gap. P.S. I put down hush/reflex on the pans, firewall, tunnel, waterfall and the rear storage area. I later did the doors too. Big improvement. Last edited by jcloving; 12-12-2016 at 03:24 PM. 70-72 Red/red--what color is your soft top? Quick Reply: Seats and Carpet are OUT!